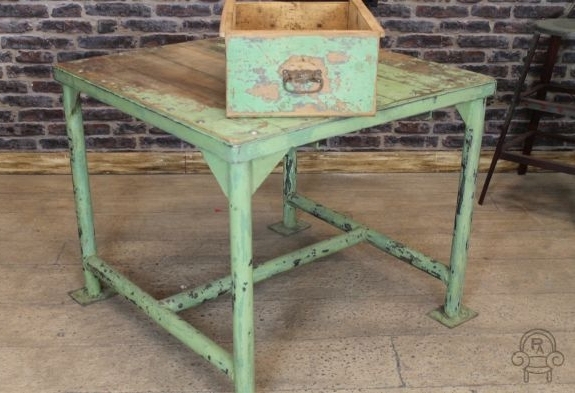 Please note, this listing is for one vintage industrial bench only. 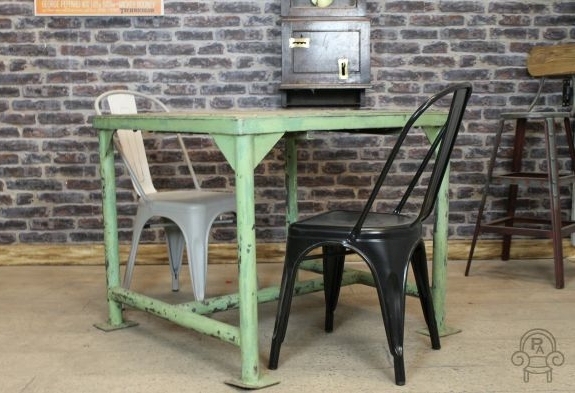 These benches are a fantastic addition to our large selection of vintage and industrial style furniture. 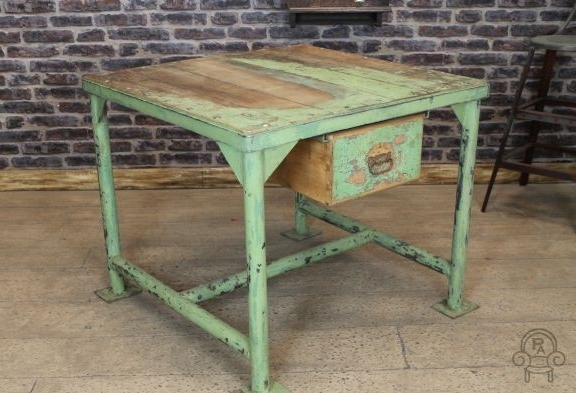 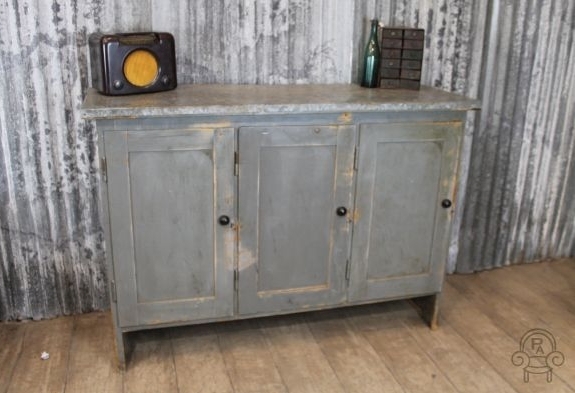 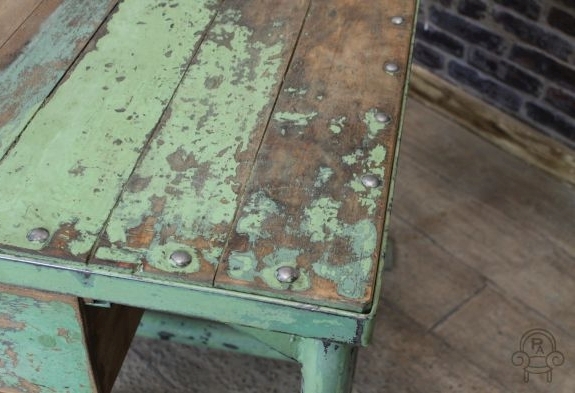 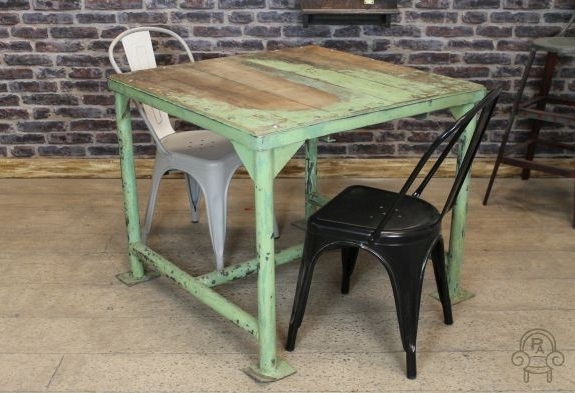 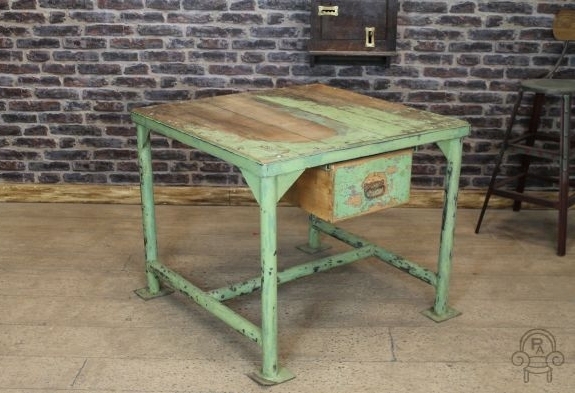 The vintage industrial benches were originally from a coal mine and date from the late 1950s. 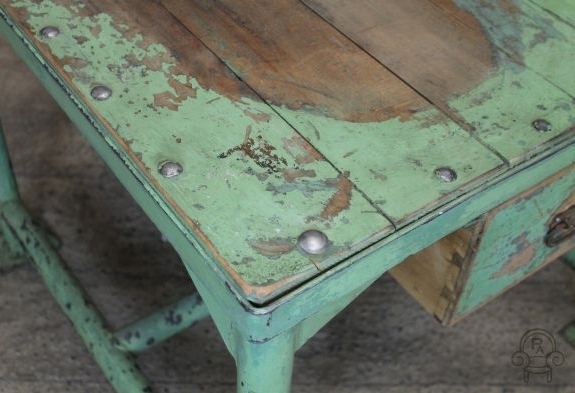 The benches are finished in a turquoise green paint colour; the exposed steel can be seen where the paint has worn over time, this gives the benches a unique urban look. 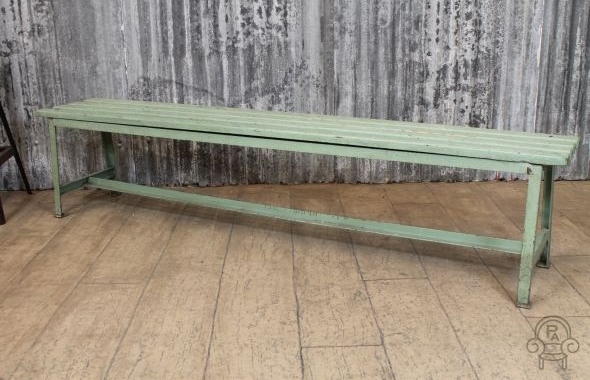 This bench would be suited to any vintage or industrial themed space. 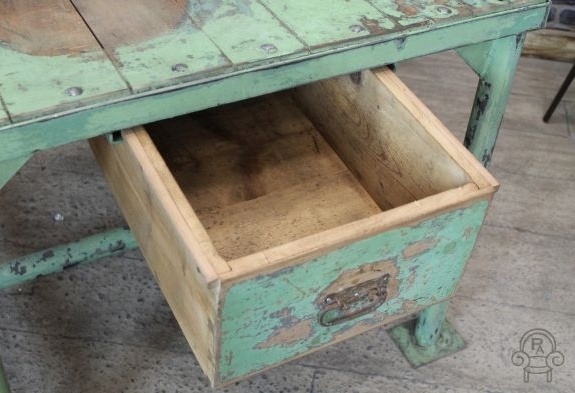 Please note, other items pictured are not included in this listing.